Ariston has added the Aures Slim Multi to its portfolio of electric water heaters. Suitable for a wide range of applications, from bathrooms and kitchens to loft conversions and utility rooms, each compact unit can simultaneously supply multiple outlets – such as a sink and a shower – with instantaneous hot water. As a result, users no longer have to wait for the water to heat up. The Aures Slim Multi has an ‘A’ class ErP energy rating, making it the most efficient method of providing water at the point of use. Plus, each unit is also supplied with a two-year warranty as standard. 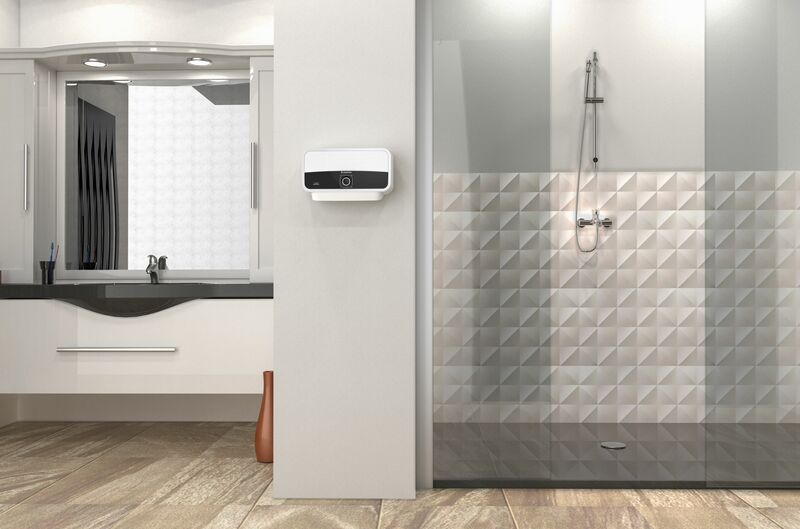 To ensure an advanced level of performance, the Aures Slim Multi is equipped with a flow sensor system, which initiates instantaneous water heating when an outlet is opened. The unit also boasts an easy to operate, front facing dial complete with LED indicators to highlight the selected power level: ‘low’ (4.5kW), ‘medium’ (5kW) or ‘high’ (9.5kW). In addition, all internal components can be accessed from the front of the unit for easy maintenance, while a double thermal cut-out is in place to ensure safety and peace of mind. Aesthetically, the Aures Slim Multi benefits from premium Italian design by Umberto Palermo, including an elegant brushed effect front panel and a sleek cover to conceal the water inlet and outlet pipes. The product’s compact size (L = 304mm, H = 178mm, D = 98mm) also ensures plenty of space is saved in whatever application it is installed. 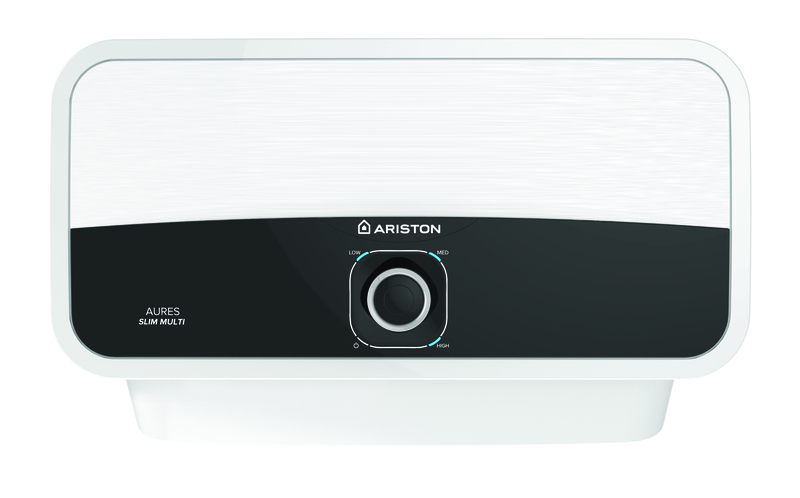 Commenting on the new electric water heater, Alex Boweren, Product Manager at Ariston, said: “The Aures Slim Multi is a great addition to our range of hot water products.